Wow, it’s been a while since I have posted a recpie! I’ve been cooking, I have just been using my free time to play with Wes instead of blogging. 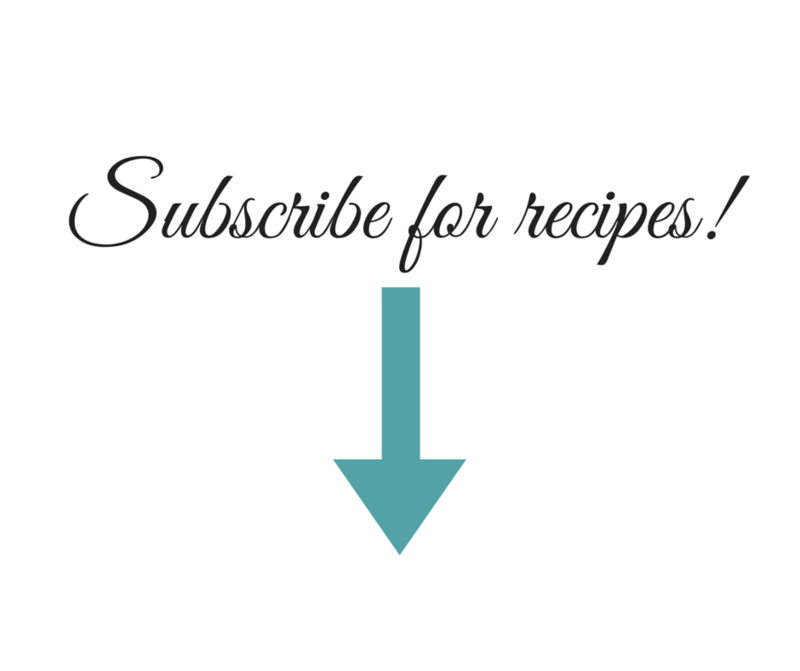 The good news is that I have several great recipes to share with you, so I’m going to do my best to get them out there. What I’m sharing with you today is my new favorite thing to do. There’s oodles and gobs of summer produce out there right now, and if you have some of it in your kitchen, here’s how you can use it! I take tomatoes (whatever kind or amount I happen to have), zucchini, carrots, onions, peppers if I have them, and garlic, and slow roast them all in the oven. Within the first five minutes my kitchen smells so good! When the veggies are done, I grab some fresh herbs from my herb garden and give it all a whiz in the blender. Viola! Fresh roasted tomato vegetable sauce! You can use this sauce any way you would use store bought marinara sauce. 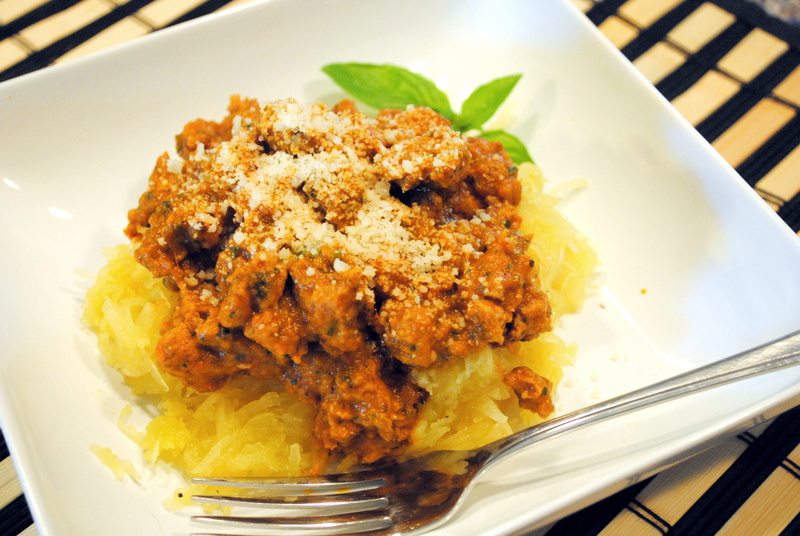 The first time I made it, I added some turkey sausage and ate it with roasted spaghetti squash. It was a ploy to get more vegetables into our 16 month old, and it worked! He loved it and ate it several times leftover. Tim and I loved it too, which is why I have made it several times since then. Once, I put the sauce on cheese tortellini and Wes ate it like he had a hollow leg. And that dinner took all of like 10 minutes to prepare! I’ve also used the sauce in ravioli lasagna. I don’t think I’ve ever posted about my ravioli lasagna, but I will some day! It’s pretty self explanatory – lasagna with ravioli instead of lasagna noodles. And Oh. So. Good. We all loved that too! You can also just cook up some regular pasta and use the sauce in a more traditional way. The nice thing is, if you fill a big baking sheet with your vegetables, it makes a lot – enough for us to use it at least twice. 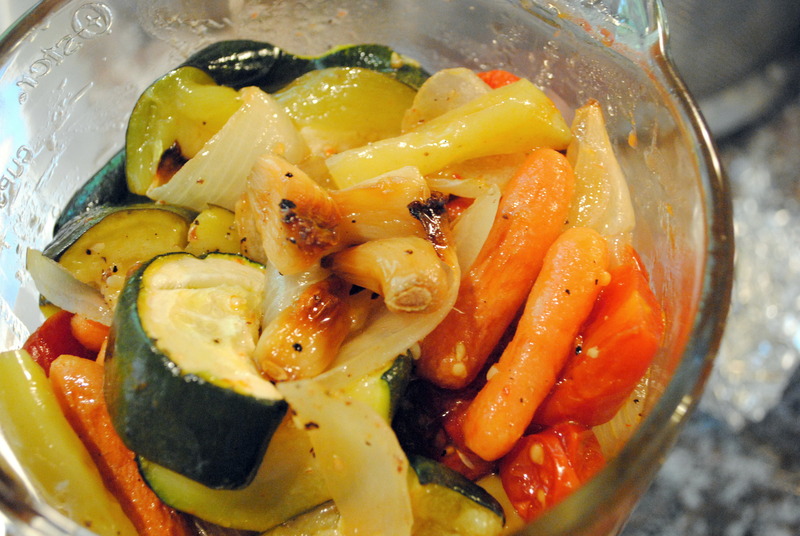 You can also freeze it and have delicious, nutritious roasted veggie sauce some day when it’s cold out and the summer produce is long gone, or just when you need a quick, healthy dinner. I have four containers of it in my freezer right now (and I plan on making more). I’m kind of a food packrat like that. For me, this started as 1. a way to use up some vegetables we had, and 2. as I mentioned, a way to get Wes to eat vegetables. That being said, feel free to use whatever vegetables you have on hand. That day, I had tomatoes, half of a pretty large zucchini, half a bag of carrots that was about a day away from having to be thrown out, one banana pepper, and then of course, onions and garlic. Whatever you decide to use, I would be sure to use tomatoes, onions, and garlic. One time, I happened to have some beets, so I threw those in too! The resulting sauce was such a gorgeous red color! I also use fresh herbs because I have them, but you could certainly use dried. Just be careful, because dried herbs are more potent than fresh because the flavor concentrates as they are dried. You can use as many cloves of garlic in this as you like. Roasted garlic is nutty and sweet and not nearly as potent as fresh garlic, so I’ve even used a whole bulb when making this. I’ll leave it up to you. I do sometimes put some greens in the blender with the veggies. If you have some on hand, throw them in too! I’ve used kale and spinach and both are delicious. And finally, if your sauce turns out a little thin, you can add some tomato paste to thicken it up. If it’s too thick, you can thin it out with a splash of chicken or vegetable stock. Line a large sheet pan (mine is 13′ x 19′) with aluminum foil. You could also use two smaller pans. 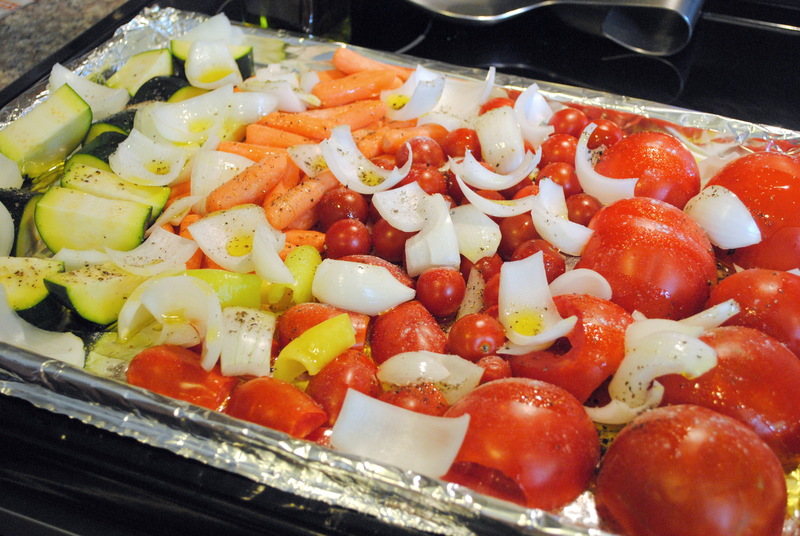 Place tomatoes, peppers, zucchini, carrots, and onion on the sheet pan. Drizzle with olive oil – enough to coat the veggies but not drown them – and season with salt and pepper. Mix to coat the vegetables and place tomatoes cut side down. Place the garlic cloves in a 12′ x 12′ (approximately) piece of aluminum foil. Drizzle with olive oil, salt and pepper, pull all of the edges up, and crimp the top to make a little packet. Place the vegetables and garlic packet in the oven and cook for an hour to an hour and 20 minutes, until the edges of the onions start to brown. Halfway through cooking, stir/turn the vegetables. After the vegetables are done cooking, you can remove some of the tomato skins if you like. I usually remove them from the large tomatoes with tongs if they are loose, but I don’t mess with the smaller ones. Put the vegetables (including juice from the pan), garlic, herbs, greens, and sugar into the blender and blend until smooth. You may have to work in batches. 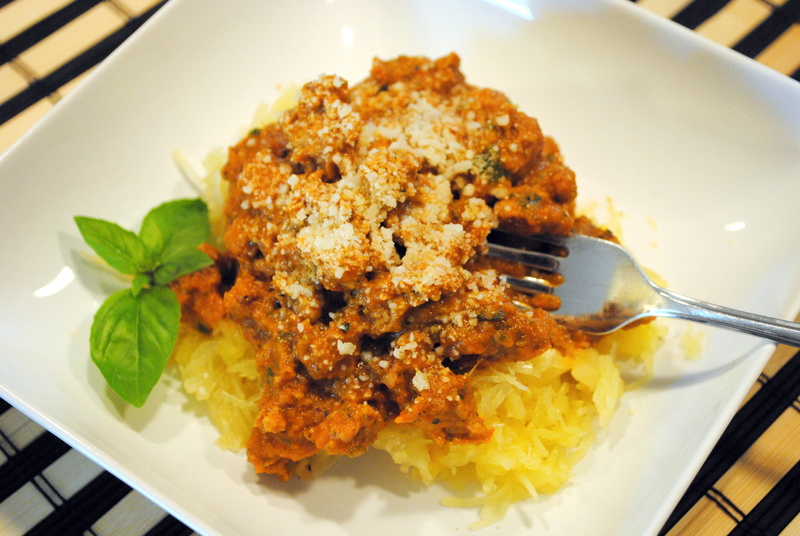 Serve with pasta, spaghetti squash, ravioli, tortellini, or however else you want to use it! Be sure to top with fresh grated Parmesan cheese. ← Today’s Tip: Save the Cupcakes! 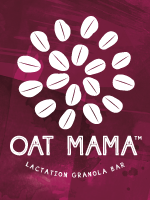 Yum, yum, yum…..I am soooo going to make this!